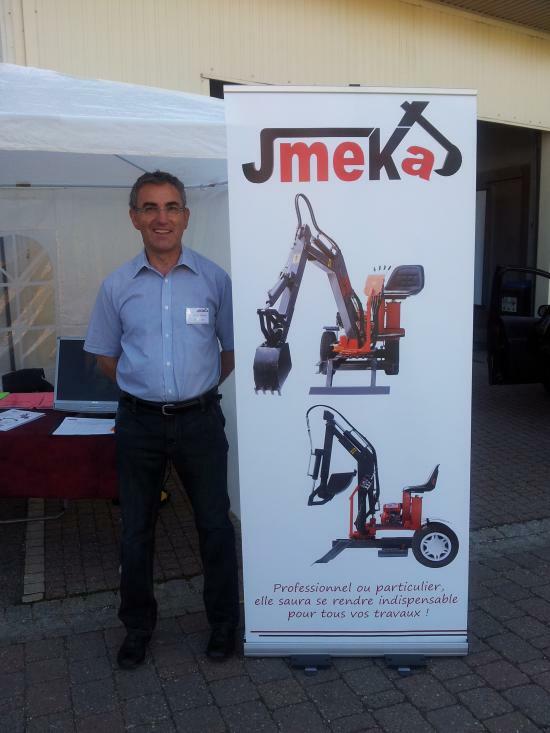 JMEKA SARL, created in 2011 by Jean-Marie MECKES, designs, manufactures and markets multi-function mini-diggers. In 2014, the founder decided to work more closely with AMR so as to industrialise manufacturing and devote himself to the development of new models. Some parts, such as tyres and engines (Briggs & Stratton OHV), are imported. They have been carefully selected for their reliability and robustness. Because we like our manufacturing to be practical, clever and French. A Smartpel is a mini-digger with a small wheelbase that enables you to carry out a huge number of tasks thanks to the multi-function options. It is small but powerful, can get anywhere, is easy to transport and enables real time and cost savings. The bonus? A continuous 360° rotation. We are always developing new products and accessories, make Smartpel in order more useful for our customers. Don't hesitate to let us know about your ideas, needs and tips on contact@jmeka.fr, you are our inspiration! A few years ago the materials handling equipment company Bauman/Irion, where Mr Jean-Marie Meckes had been working for 38 years as a production manager, closed its doors to relocate. As he was brimming over with ideas and always searching for new products, he designed and manufactured a mini-digger to his own requirements. The interest aroused by the machine, both with individuals and small companies, led him to test the product's interest via online ad sites. As a result of numerous requests from all over the world, Jean-Marie quickly decided to create his own company, along with its website, to market the mini-diggers. So, he made the mini-diggers in his garage. The time devoted to designing, manufacturing and marketing, and the fact that the working area was too restricted, limited the annual output to 25 machines. 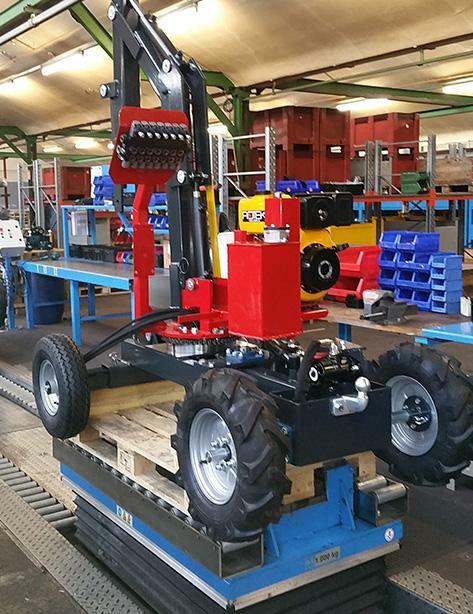 The result of this was an Alsatian partnership with the forestry and agricultural machinery manufacturer AMR (www.a-m-r.fr) which has been manufacturing its machines in Alsace for more than 30 years in a 10,700 m² factory. This collaboration between craftsman and industrialist enabled "French manufacturing" to continue on a larger scale, while still maintaining maximum quality at the best possible price. Jean-Marie MECKES then fully devoted himself to the design and development of the Smartpel mini-diggers.